Growing up in a family that has lived in Hawaii for the past three generations, Rick has a deep understanding and love for these islands. At a time when Hawaii was governed by its own monarchy and was a nation in itself, Rick's paternal grandparents came to these islands in search of a new and wonderful life in this strange beautiful land. Rick's father fulfilled their dreams with his academic excellence, attending Washington University Medical School in St. Louis, Missouri and returning to the islands to later become Hawaii's first Board-Certified physician in Obstetrics and Gynecology. Rick is an avid fisher. 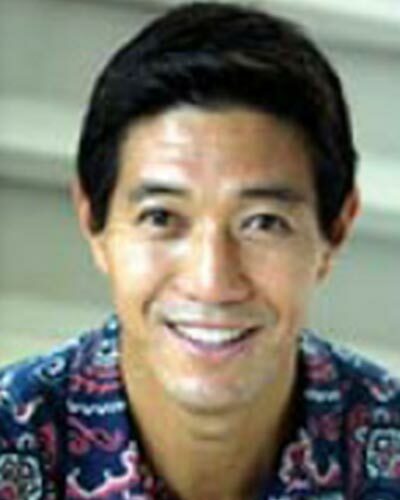 Rick graduated from Punahou School and received a bachelor's degree in journalism from the University of Southern California. With his love for marketing and writing, he lived in West Los Angeles and Manhattan Beach for several years, pursuing a career in advertising at a few of Southern California's larger advertising agencies. He later returned to USC where he earned a Master of Business Administration from the Marshall School of Business and a Master of Real Estate Development from the School of Regional and Urban Planning. Rick's real estate experience is in residential sales and small-to-mid scale commercial real estate project management and leasing. He also has experience in coordinating commercial tenant build-outs and residential construction, as well. Rick is an avid waterman. He loves surfing and regularly surfs Oahu's famed North Shore, as well as outer island "secret spots." Rick was also a solid competitor in outrigger canoe paddling, swimming, water polo, as well as deep-sea fishing. He loves traveling and has been to Japan, Europe, Bali, New Zealand, Fiji, and a number of spots throughout Baja California and Mainland Mexico. He also loves to snowboard and snow ski and has seen some of the beautiful venues that some of America's winter resorts have to offer. "You know, I really adore traveling. There are so many unbelievable places to experience in this world and people to meet. But what is always great is coming home because I realize that no matter how far I wander, there is nowhere else to live that is quite like Hawaii." Rick catching a big wave. Rick also has tremendous respect for the various cultural sides of Hawaii. He studied martial arts devotedly for many years and currently enjoys his pursuit in the art of hula. 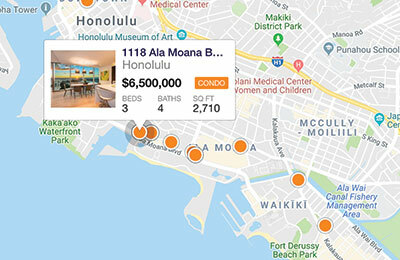 With his love and respect for the ocean, the land, and the Hawaiian culture as well as his strong real estate and business/marketing background, Rick can make sure that you make the right decisions in your business dealings here in Hawaii. He appreciates quality and he understands what is "in" and what sells depending on the niche you are trying to reach. He is also a pretty good connoisseur of fine wine and would be glad to entertain you while you are in town.